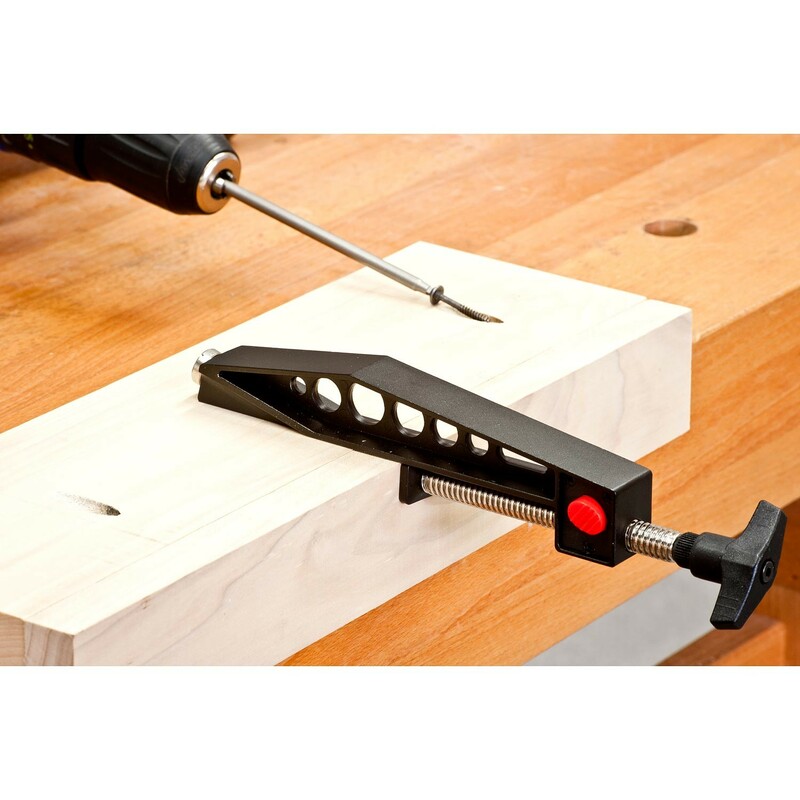 Especially developed for the UJK Pocket Hole Jig, this clamp will align the pocket joint exactly allowing you to screw the joint together. The 9.5mm pin is put into a drilled pocket hole and clamped, further drilled pocket holes can then be screwed together ensuring alignment. 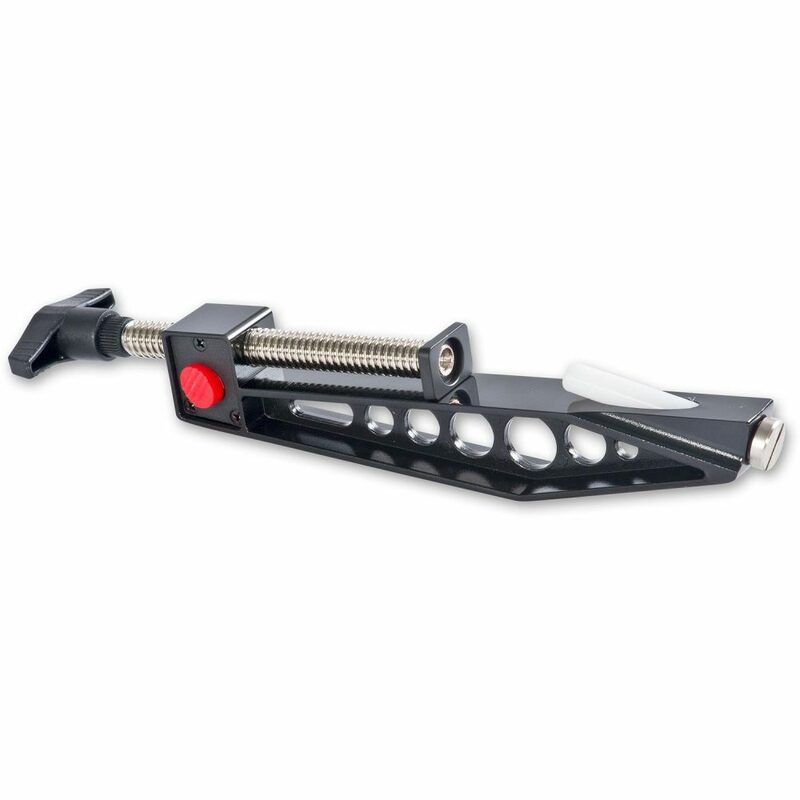 The fine thread has a quick release slide for quick reference in different material thicknesses, the ratcheting handle also ensures it does not foul on a workbench.